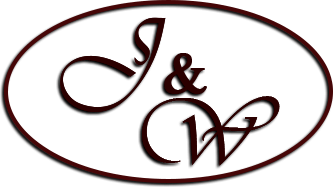 At Jones & Son Funeral Home and West-Murley Funeral Home there is over 90 years of tradition and caring for the families of Scott County. Jones & Son Funeral Home was established in 1978 by Dennis Jones, Sr. a Scott County native. Mr. Jones established the funeral home on the basis of providing personal service to families at one of the hardest times of their lives. He dedicated his life to this cause. West-Murley Funeral Home was established in 1949 at the corner of West 3rd Street and Alberta Street. Lee West and his family were the cornerstone of care and service to the families of Scott County. That tradition continues today with the same diligence that Lee formed West Funeral Home with in 1949. We are there today to provide families with the personal touch and guidance to make each and every service a personal tribute to their lives. The caring and experienced professionals at Jones & Son Funeral Home and West-Murley Funeral Home are here to support you through this difficult time. We offer a range of personalized services to suit your family’s wishes and requirements. You can count on us to help you plan a personal, lasting tribute to your loved one. And we’ll carefully guide you through the many decisions that must be made during this challenging time.